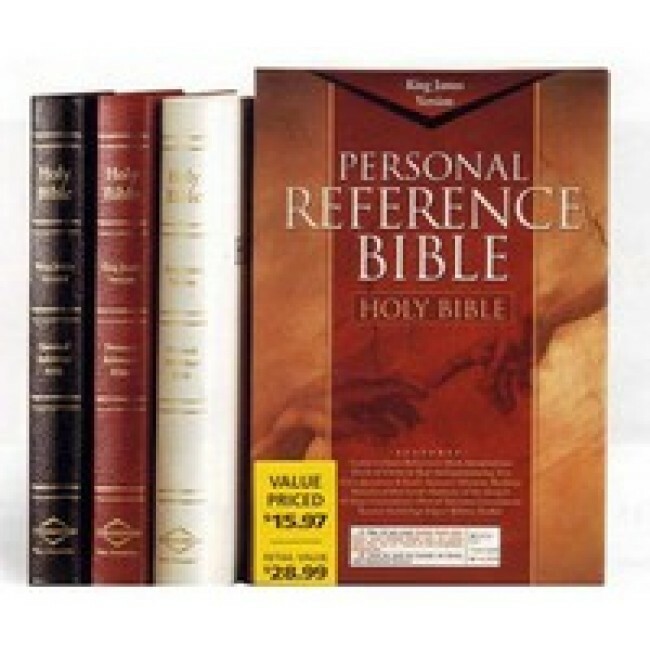 gifts, this hand-sized edition has many features found in larger Bibles. A King James Personal Reference Bible at an excellent price measuring 8 ¾"X6 ¼" with a type size of 8 points features center column references, introductions to the biblical books, 'Miracles of Our Lord', a 63 page Concordance plus a plan of salvation. A special gift idea. Please call for gold stamping.